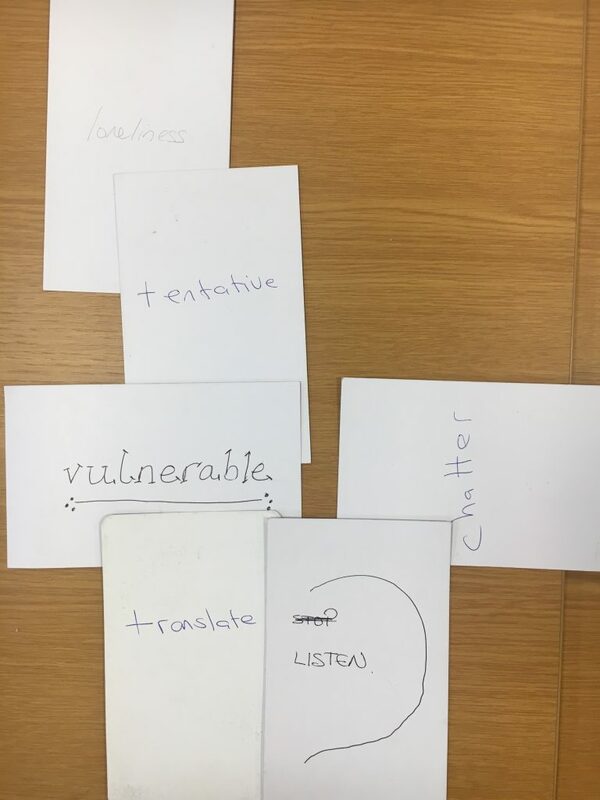 This is the first of four guest blogs by one of our Catalyst Funded Projects Affective community being-ness after Brexit: a “CataLab” by Dr Geoff Bright. The Connected Communities Catalyst Fund 2016-18 was intended to support the consolidation of exciting new ideas arising from the Connected Communities programme. Specifically, the fund aimed to explore the question: What new insights relating to the nature, dynamics and role of communities are emerging from CC projects? The projects that have been completed over 2016 to 2018 explored a number of facets of this question, and their final reports can be found in the resources section of the website. 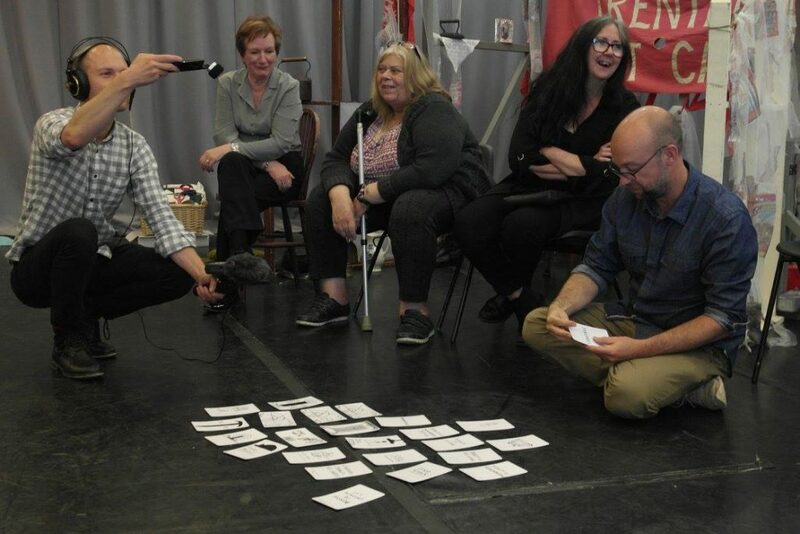 Our Catalyst funded activities were co-produced by the teams involved in previous AHRC Connected Communities (CC) projects that we’d led in the north of England (Geoff Bright, Manchester Metropolitan University) and in Wales (Valerie Walkerdine, Cardiff University). Independently, we’d brought together a cluster of projects funded by CC that considered how affective aspects of fragmented histories remain hidden in plain sight in de-industrialised working class communities in ways which impact on what Valerie has called community being-ness. Similarly, both of us had used arts-based approaches to bring those affects to light. While Valerie’s work (2010; 2016) has developed the notion of affective histories as gathered through the collection of often small, anecdotal, details in conversations and interviews, Geoff’s work (2016a; 2018a) has foregrounded a practice of working with a social haunting through a repertoire of playful collective arts devices such as the “Community Tarot readings’ ‘instant playback theatre’ and ‘co-operative poetry’ used in community activist/arts ‘event’ spaces called Ghost Labs. Previous projects involving key community partners have taken place in South and Mid Wales, Rochdale, and the South Yorkshire, North Staffordshire, and Durham coalfields – all localities identified as outstandingly important to any reflexive, co-produced understanding of the impact of the Brexit decision in June 2016. Basically, we had a great deal of unprocessed material from these projects in a host of forms (50 plus hours of Ghost Lab recordings; visual materials; collectively produced poetry; ‘radio ballad’ style folk songs; community broadcast material; film documentary; community performance; video; and so on) and our previous discussions indicated a potentially productive synergy between the approaches we’d adopted. The “CataLab” – as we called it, trying to retain the experimental flavor of our work – was designed to act as a catalyst of this synergy, but with a close ear to the now evolving Brexit context in our research localities. 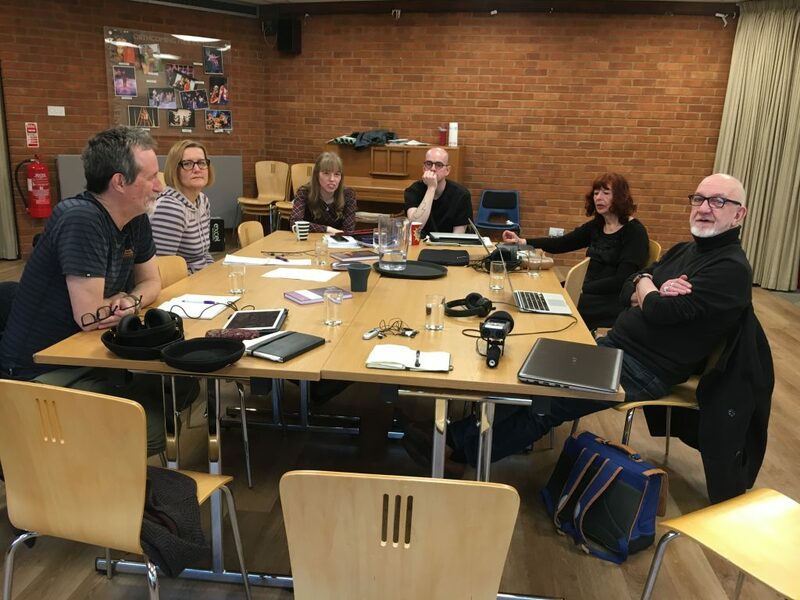 The two-day event duly took place through the 11th and 12th of April, 2018, with seven participants taking part at the New Vic Theatre, Newcastle under Lyme, Staffordshire. We designed the CataLab as a listening-exchange and development laboratory bringing together project members and community partners already actively involved in the CC work, notably the Co-operative College and Unite Community – with the latter providing the venue as support in kind through the offices Sue Moffat, Director of New Vic Borderlines and secretary of the Stoke branch of Unite Community. The CataLab began with an information exchange session as preparation for an intense ‘data retreat’ where participants worked as individuals and as a group with audio and video materials. This led into an arts-based workshop facilitated by poet Andrew McMillan, where a small set of improvised Community Tarot cards functioning like those used in the Ghost Labs of Geoff’s work, (see photos) were produced from blanks, and acted as a means of articulating the CataLab as an imaginative and theoretically safe and stimulating space on the Ghost lab model and as site of imaginative co-production in its own right. To our satisfaction our intended outputs were met and sometimes exceeded: we were pleased to propose a panel discussion to the 2018 international conference of the Working Class Studies Association at State University of New York which included Prof Joe Varga of the University of Indiana, Geoff, Valerie, and CataLab project member Mark James of Unite Community. It subsequently took place at SUNY in June 2018 and, as a result of the reception, a Special Issue of the journal Working Class Studies, edited by Bright, Walkerdine, Varga and James has been agreed and is scheduled for publication in 2019. The CataLab also fed into Valerie and Geoff being involved (with Dr Katy Bennet of Leicester University) in developing a bid for the ESRC call “Governance after Brexit”. So, a ‘cross council’ output there! While participation in the project was affected by sickness and the difficulty of bringing community participants together in a place (Stoke) centrally located our widely dispersed project areas in Wales and the north of England, the event was viewed as a productive, stimulating and enjoyable experience by those in attendance, as the feedback examples from participants show. Perhaps richest of all once again (just as in the Ghost Labs of the social haunting work) was, as can be heard in the attached audio clips, the ethos of the space we are creating: improvisative, experimental, determinedly prepared to “stay with the trouble” in Donna Haraway’s phrase, and to pay gently constant attention to a “properly political form of love” in Lauren Berlant’s. We really do feel that we are onto something here. “The Catalab was a valuable opportunity to reflect on all three Social Haunting projects and how it linked to Valerie’s work, to think about how the methods we use to engage with various communities have developed over the course of the three years. In particular, it was good to make links to Valerie’s work in South Wales and to explore the connections between her experiences and ours”. Articles: Bright, N. G. 2018. ‘Feeling, re-imagined in common: working with social haunting in the English coalfields’. In Routledge International Handbook of Working Class Studies (eds) Tim Strangleman, Michele Fazio, Christie Launius. London and New York: Routledge; Bright, N.G. 2016. ‘“The lady is not returning!”: educational precarity and a social haunting in the UK coalfields’ in Ethnography and Education. 11 (2) 142-147.